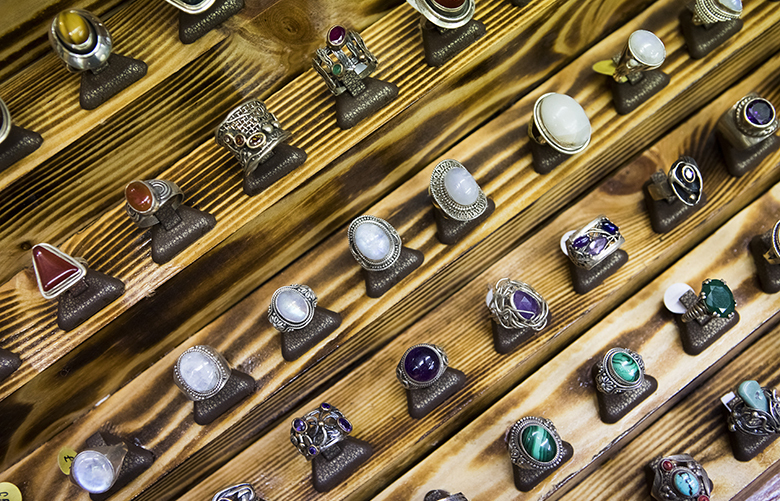 From the rings on show to the display cases they are sitting in, everything is handmade by owner and maker Muthy Ikbal - you’ll know this talented silversmith’s shop by the huge quantity of jewellery (using gemstones of every colour and design) that sits on the shelves. Handmade right there in the shop, whenever Muthy isn’t fulfilling custom orders, you’ll find him making more items to his own design. Check him out, we bet you’ll find something you love.